Aside from low back pain, neck pain is the second most common type of spinal-related pain. Neck pain can vary in intensity, from mild, annoying pain to severe, debilitating pain. Neck pain can result in pain that is local to the neck but may also result in symptoms that travel into the shoulder, arm, and hand. Neck pain also commonly leads to headaches. 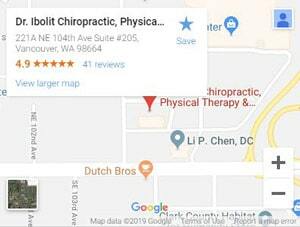 It is important to understand the causes and symptoms and seek chiropractic care for neck pain in Vancouver, WA. Most of the time, neck pain isn’t a serious condition and can be relieved within a few days. But in some cases, neck pain can indicate serious injury or illness and require a doctor’s care. To get the best treatment for your neck pain, it’s important to recognize and understand the symptoms—and what they mean. Your symptoms are a clue to the underlying spinal condition causing your neck pain. When describing your symptoms to your doctor, be as accurate as possible. This will help him/her better figure out your neck pain, diagnose the cause, and get started on a treatment plan. How can I treat my neck pain? Like all spinal pain, chiropractic care is often the most effective treatment for neck pain. Additionally, chiropractic care is more conservative and less invasive than other procedures. In conjunction with chiropractic care, physical therapy, massage, exercise, lifestyle modifications, and proper nutrition can be effective in treating and managing neck pain.